Few franchises have been as impactful and groundbreaking as the Marvel Cinematic Universe. In 2008, Iron Man became an unexpected hit and made Tony Stark one of pop culture’s most recognizable faces. 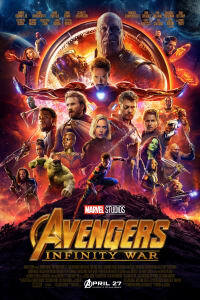 In the decade since, the MCU has consistently captured the imagination of fans around the world with characters like Captain America, the Guardians of the Galaxy, Black Widow, and Thor. Now the saga’s ambitious, decade-long storyline will come to a close with the release of Avengers: Infinity War on April 27. 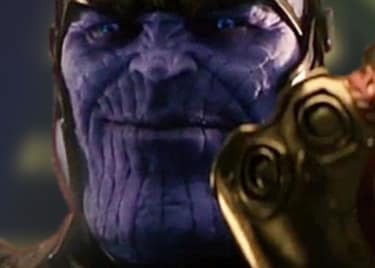 The film will bring together every superhero from the big screen corner of the MCU to face the Mad Titan Thanos, who wants to get his hands on the six Infinity Stones. Marvel movies will continue after this chapter, of course, but Infinity War marks the beginning of the end of the first stage of the MCU. The release of Infinity War gives fans a great chance to look back at the franchise’s biggest achievements. With the movie event of the summer right around the corner, let’s take a look at six moments in the Marvel Cinematic Universe that were taken straight from Marvel’s comic book pages. In 2004, Jeph Loeb explored a different side of the Hulk’s origin with his comic book storyline ‘Hulk: Gray.’ The comic explored the building blocks of Bruce Banner’s mythology, and gave an interesting twist to his relationship with Betty Ross. Unlike her previous incarnations, this new version of Betty wasn’t really fond of the Jade Giant. As the storyline developed, the character’s distrust for the Hulk paved the way for an interesting bonding moment between the two. In issue #3, while attempting to connect with Betty, the Hulk kidnapped her from a military base and took her to a cave where he tried to show her he wasn’t evil. The sequence had a big impact on director Louis Leterrier, who adapted it for 2008’s The Incredible Hulk. During the film’s second act, Hulk found himself embroiled in a conflict with the US army. The Jade Giant prevailed, but Betty was gravely injured. Trying to protect her from further harm, Hulk carried Betty to a cave in an unknown location. She eventually woke up, and the two shared a tender moment that played a big part in strengthening their dynamic throughout the movie. Don’t worry, this isn’t a list all about caves and cave-related concepts. Early in his superhero career, in the “If This Be My Destiny…!” storyline, Doctor Octopus caused a building to collapse on top of the wall-crawler. Exhausted from the seemingly never-ending conflict in his life, the young hero opted to stop fighting and simply allow the rubble to crush him. Eventually, however, Parker remembered the great responsibility he carried on his shoulders and made the effort to break free. The scene marked a pivotal moment of growth for Spidey, and it became one of the most popular sequences in comic book history. The scene was adapted for Peter Parker’s first standalone adventure in the MCU, Spider-Man: Homecoming. During the film’s third act, Vulture attempted to crush Peter with a building. The hero survived, but he found himself buried beneath a heavy amount of rubble. Spider-Man desperately cried for help, but he quickly realized he had no one to turn to but himself. Gathering all of his strength, the hero lifted the rubble on top of him and managed to escape, thus bringing to life Stan Lee and Steve Ditko’s classic comic book sequence. Ever since his comic book debut, one of Loki’s biggest ambitions has been becoming king of Asgard. The character finally achieved his goal in the 2004 ‘Loki’ miniseries written by Robert Rodi. Aside from its gripping storyline, the comic book wowed fans with a panel showing Loki on the throne of Asgard. The scene struck a chord with readers, and it became one of Loki’s signature moments. Due to its popularity, the scene eventually made its way into the big screen with 2011’s Thor. With no one else to reign over Asgard following Thor’s banishment and Odin falling into his mandated resting period, Loki stepped in as interim king. To fans’ delight, director Kenneth Branagh took the opportunity to pay homage to the comics by recreating the classic image of Loki sitting on the throne of the magical kingdom. It was a short moment, but it was nonetheless exciting to see it brought to life on the big screen. Captain America: Civil War featured an exhilarating airport battle sequence that pitted Earth’s Mightiest Heroes against each other. The scene had plenty of eye-popping moments, and one in particular came courtesy of Clint Barton and Scott Lang. 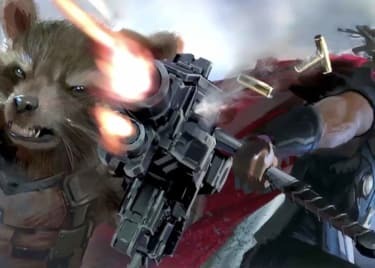 During a crucial moment in the fight, Hawkeye shot an arrow carrying Ant-Man to allow the little hero to sneak into Iron Man’s armor and disable it from the inside. This exhilarating sequence was taken straight out of ‘The Avengers’ #223. In the story, Clint Barton and Scott Lang came across a villain known as Taskmaster. Following a lengthy battle between the two heroes and his minions, Taskmaster launched a pack of explosives at an unsuspecting circus audience in order to mask his escape. With no other options available to save the audience, Ant-Man hopped on top of one of Hawkeye’s arrows and was launched into the air. The move was daring, but it paid off, since it allowed Ant-Man to disable Taskmaster’s weapon and save the day. Black Panther has battled a number of formidable adversaries, but few had the impact of Erik Killmonger in his first comic book appearance. In ‘Jungle Action’ #6, the villain attacked several sections of Wakanda in hopes of weakening its royal family. Black Panther tried to stop him, but was no match for his opponent. Following a brutal battle through the jungle, Killmonger lifted T’Challa over his head and threw him down a waterfall. The sequence became a pivotal moment in Black Panther’s history, as it marked one of his most humiliating defeats. Ryan Coogler brought it to life in 2018’s Black Panther. After arriving in Wakanda and revealing his parentage to the royal family, Killmonger challenged T’Challa to a battle for Wakanda’s throne. The young monarch accepted the challenge. Unfortunately, Killmonger defeated T’Challa and proceeded to throw him down a waterfall. Erik Killmonger is one of the MCU’s most compelling villains, so it was great to see Ryan Coogler recreating such an important moment in his villainous career. Captain America: Civil War was based on the 2006 comic book event of the same name. Aside from the concept itself, the film was a very loose adaptation of the storyline. 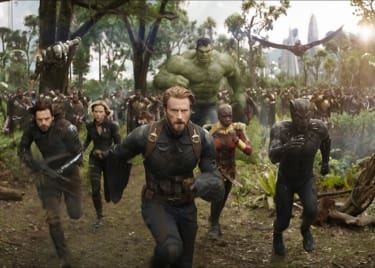 Still, despite the major differences between the movie and its source material, the Russo Brothers included a few exciting nods to the comic book event. The most prominent ones were included in Iron Man and Captain America’s final confrontation. During the film’s third act, Tony discovered that Steve knew the Winter Soldier had murdered his parents. Tony became enraged, and the two former friends started battling it out. The battle was fairly different from the comics both in context and execution, but it included two great callbacks to their confrontation in the comics. The first one came halfway through the fight. Desperate to end their scuffle, Stark shot his energy beams at Captain America, who quickly blocked them with his shield. This was an exact recreation of the cover of ‘Civil War’ #7. The second callback came during the battle’s final moments. Following a brutal confrontation, Steve got the upper hand on Tony and smashed him against the ground. He then proceeded to disable his armor through repeated hits from his shield. The fight’s final moments was a faithful adaptation of the two heroes’ battle at the end of ‘Civil War’ #7, which ended in pretty much the same way. Iron Man and Captain America’s confrontation was one of the most powerful moments in the MCU, so it was great to see it take so many cues from its source material.